Too Faced Dream Queen Make Up Collection ($58) arrives for Holiday 2018 on September 15 for Sephora Rouge Members only (everyone else can snag it on September 17th) at Sephora.com and in stores and I feel like it’s such a safe skip in my makeup life. This is the first year I’m going to call it a day and not purchase the Too Faced Sephora Exclusive Palette! They do have an upcoming Gingebread scented eyeshadow palette and that will happily come home with me as it looks interesting but this one? Not so much! I’m sort of done with this massive Holiday palettes because they are so hard to store and the quality is mediocre. I know a lot of people really enjoyed the Too Faced Boss Lady Beauty Agenda from last year but I honestly wasn’t impressed with it. I do feel like it is my responsibility as a blogger to buy and review all of these palettes but this year I think I’ll focus on items I think might have better quality. I mean I can’t say if the Dream Queen Make Up Collection will or won’t be impressive but with the Too Faced Holiday track record, well, let’s just say it seems an easy skip for me. And I feel like I can do a lot more with $60 bucks. 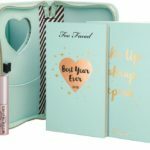 Will you be purchasing the Too Faced Dream Queen Limited-Edition Make Up Collection? Sephora Holiday 2018 Preview Event for Rouge Only Happening This Weekend! Too Faced Holiday 2017 Dropped! This honestly looks like every other holiday palette they’ve ever done. Bunch of neutrals with a pink, a green, and a purple. Like… do they just throw the towel in for the holiday stuff? LOL yea it seems that way beth! Like wham bam thank you here’s a holiday collection! Good call. 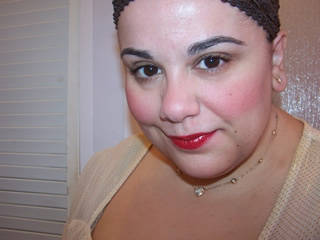 I got the gingerbread man lip last year. He is being retreaded. No other tf wants/needs, but will be interested to see how the gingerbread palette performs for you. It looks great in photos but count me curious about the formula! I agree! Quality not there and the palettes are too big. Not buying any holiday collections. Yes, I agree! Maybe we are just getting too old to appreciate them! Someone commented in this post (I can’t see all the comments from my dashboard) that said there are new makeup users daily and they’ll be excited about it and that’s sort if how I try to see it. Because I think if I was new to Tarte as a customer I’d probably be OMG I need this. But as a seasoned Tarte user it’s just very uneventful to me. no seriously though, I think if I was early twenties (early teens) I’d be excited about this! It’s cute but if it’s exclusive to Sephora I won’t bother. I’m looking for good holiday stuff to spend my Ulta points on! I think I’m definitely going for that Gingerbread palette if Ulta has it. sad sigh I think it is! Ulta will likely get there own tf palette! Yeah I will check it out if its not shaped like a pineapple LOL! I too wonder if I am just getting old, holiday palettes have definitely lost their appeal. Back in the day (last decade?) I remember getting so excited about the MAC holiday collection every year, the quality of those collections has definitely gone downhill. It feels like there is more competition in holiday palettes and so many brands are compromising on quality to get their share of Xmas spend. I have more makeup than I could ever reasonably use, products have to be very high quality for me to use them on a frequent basis. So I would rather buy a lovely Chanel lipstick or an Hourglass face powder that I know I will love and use more than once! Oh gosh me too! I always felt like I had to have the entire MAC holiday collection but yes, the shadows are really not that great anymore! This, exactly this! For $58 I might as well buy a good quality eye cream or something else I knew I’ll get good use of! Yeah I haven’t done a big holiday palette or set last few years. Too cumbersome and the quality isnt there like everyone said. But…what is that dreamy lips ultra plush lip gloss? Is it new? Sounds nice! I bought it a couple weeks ago at the Chicago store. It’s amazing. The bad is adorable. It was worth it for the packaging alone. Shadows are super pretty. I would love for someone to gift this to me, I love the swans they did this year, but I have too many similar eyeshadows to justify buying it! We’ll see if I cave! Haha! Going to focus more on the opi nutcracker collection coming out! Can’t wait for that! The only holiday thing I’m remotely interested in from TF is the collection of holiday scented matte liquid lipsticks. That’s all, folks!